After more than 5 years hiatus from Toastmasters, I delivered a new speech. This time, it would be with the BF Community Toastmasters Club. This is my 3rd advanced speech, The Sales Training Speech, from The Professional Speaker manual. The speech is entitled "Curb Appeal" and was evaluated by Beth Pableo DTM. In the audience were: Duchess Munsayac, Loise Bañez, Roselle Ganotisi, Jun Carillo, Jomarc Baquiran, Rema Manzano, Lolet delos Reyes, guest Beth Bonifacio and Beth Pableo. 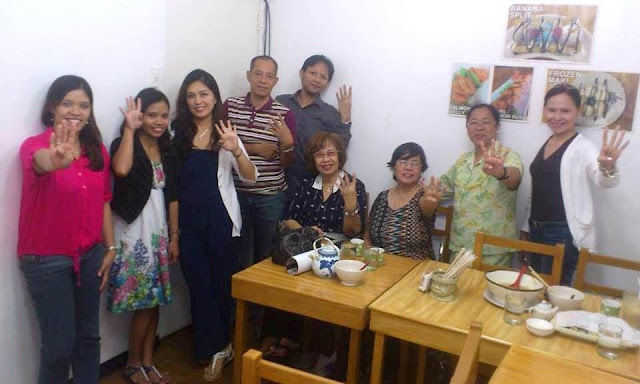 All were flashing "4" to indicate the achieved 4 DCP points to garner a club lectern as reward. The lectern was awarded to BF Comm TMC in a separate meeting.